was founded with the sole purpose of catering to the ever increasing demand in the real estate market, a demand for prime destinations & modern living spaces. Landmark was among a few Egyptian real estate companies that expanded business across borders, Landmark has single handedly undertook projects such as the Continental tower in Dubai Marina & Rukan compound in Dubai land, Dubai, in addition to the historic themed building 91 in Muntaner street, Barcelona. superior services & high quality after-sale care. Landmark promises their clients future, life, energy and sensation with material, composition & time in mind. Having all of the above in a premium location and having each compound delivered a standalone destination is Landmark’s true challenge. At first the need was to create more houses, but then the game started getting more advanced & the buyers started expecting the bar to get raised. Buyers today aspire advanced facilities & higher standards of living. This was why Landmark came up with the idea of ARIA. ARIA is Located in Mostakbal city, Egypt’s newest city destination, with over 11,000 Acres of a fully integrated mega green city. 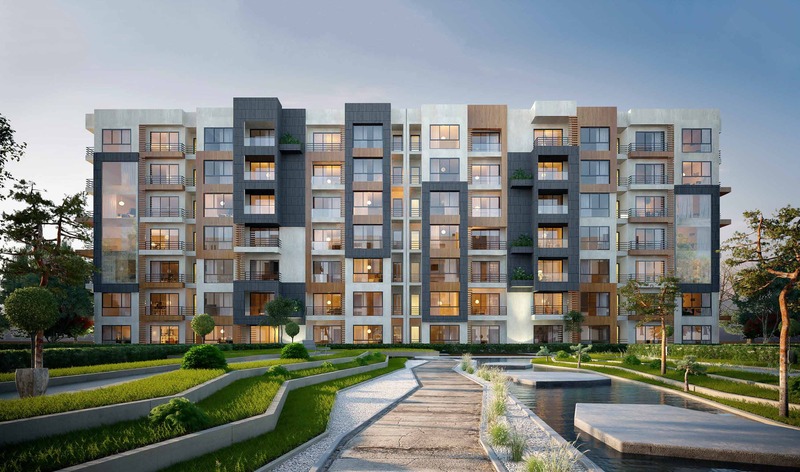 ARIA hits the bullseye when it comes to serving the market’s exact needs, with more greeneries, open spaces, modern designs & advanced facilities. ARIA was conceived with a strong belief in the benefits of open spaces & how it can affect lives positively. Public open space & parks as well as playgrounds have been associated with better perceived general health & reduced stress levels, with ARIA, home buyers can now raise their expectations bar. Infreastructure at ARIA tends to the daily needs of its residents, a nursery, mosque, retail center, club house, kids park, clinic & more. A fully integrated compund to suit the needs of kids, adults & the whole family to gether. All drawings, areas & dimensions for the following plans are the nearest to reality, ARIA has the right to amend them according to the specifications issued in their regards and according to the marketing plans for the project.